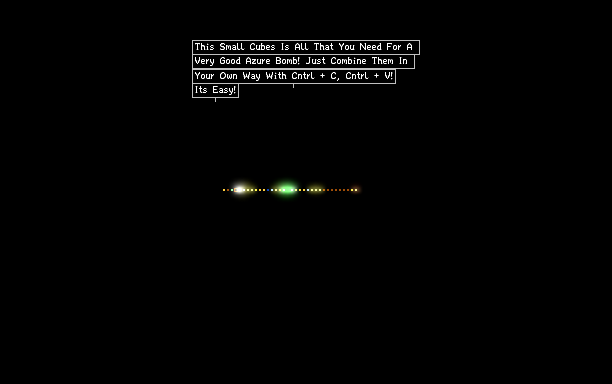 Just Combine Them In Your Own Way With Cntrl + C, Cntrl + V! Now Making Of Azure Bombs Is Easy! Ok, but you can just youse letter Z on the keyboard. could you possibly edit this to make the spaces between the cubes bigger? its quite finnicky to try and copy them.